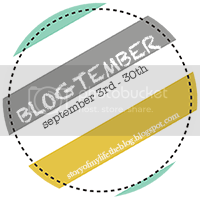 Blogtember Prompt: Pass on some useful advice or information you've learned and always remembered. This piece of information or advice is a lesson I have learned over the course of these last few weeks and I'm still learning today: God is there. When I'm seeking Him and even when I find myself in doubt, He's there. He has proven Himself to us again and again during this move to Mexico. There were times when I felt doubt in myself and my abilities to be worth anything to anyone down here, but God was there. He continued to use my husband to encourage me when I needed it, and He used me to encourage my husband when he needed it. He provided a core group of believers who have already welcomed us with arms open wide and He gave Wade the exact I mean exact job we were hoping for where he is able to work only two days a week (Thursdays and Fridays) as a pharmacist so that we can serve the other days in Mexico. He also provided us with free housing in Texas on the lot of a Christian radio station for the next two months where we are house sitting for some other missionary friends of ours. This gives us time to pray and figure out where we will live next in Texas, as we prayerfully begin to dive more into the adoption process. We also have the mission house to live in in Mexico (where all of our groups stay when they come down) as we wait (in Mexico time) for our casa next door to be available. One of my biggest worries was how to cook and meal plan for our days in Mexico right off the bat, and He has provided many people to invite us into their homes and feed us themselves, usually more than one a night! I've only cooked ONCE in Mexico and that's because I planned it with Mama Sylvia the night before to make sure we both didn't cook for all of us! Our house in Mexico has become an "after school program" of sorts where kids gather in the afternoon to color, play games, jump on the trampoline (certain days of the week, because they get all kinds of crazy on that thing! ), pretend to be a herd of cats, or tickle my sweet husband to death. We keep marveling to one another how thankful we are at how God has given us such clear confirmation. It's something I constantly hunger for, and to have it is giving me incredible peace. This song is one I sang on my final Sunday at Lifepoint. I have been singing the words to myself all week and reflecting on the truth that all I need is Jesus. The truth is, I find him in the seeking and even in the doubt. No matter the situation or which part of the emotional roller coaster I'm on, God is there. All I need is Him. Enjoy this free 4x6 print I created above to remind us of these truths. click the image for a full sized download. Then right click and save.